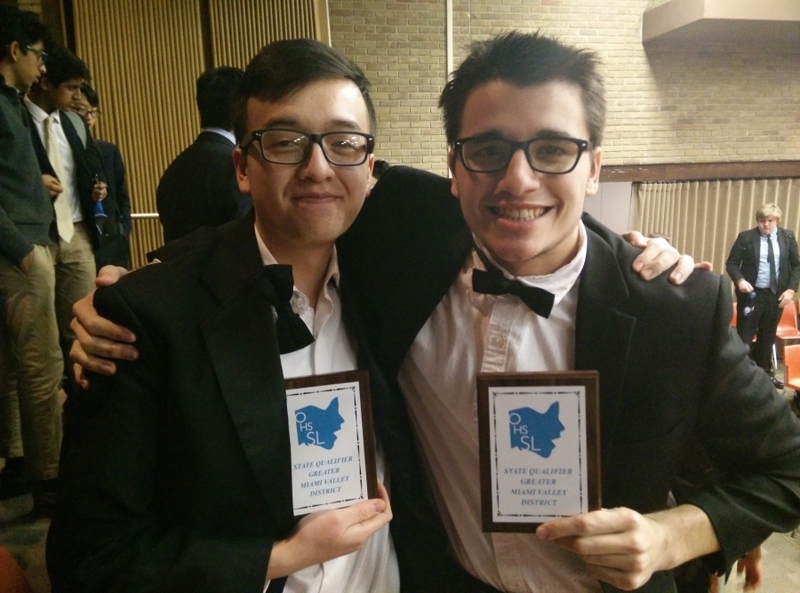 On Feb. 3, 2018, Speech Team Captains Brody Armstrong and Timmy Nguyen qualified for the State Championship! This is the first time in recent memory that Oak Hills has made it to state. They performed in the Duo Interpretation Category together, acting out a comedic scene from Spies by David LeMaster. Timmy has performed with the speech team his entire high school career. Timmy and Brody are seniors. Congratulations and good luck in State Finals which are in Sylvania, OH on March 1-3.